Get the Funk Out! : Director Lara Stolman chats with Janeane Bernstein about her must see documentary, SWIM TEAM! LISTEN Monday 7/24/17 at 9:45am pst on KUCI 88.9fm. Director Lara Stolman chats with Janeane Bernstein about her must see documentary, SWIM TEAM! LISTEN Monday 7/24/17 at 9:45am pst on KUCI 88.9fm. the must see documentaries of the summer! SWIM TEAM tells the story of how parents of young boy who is on the autism spectrum take matters into their own hands and create a swimming team in their New Jersey community. The swim team made up of teens on the spectrum begin to train with high expectations and zero pity. Watch as these teens not only aim to win gold but for inclusion, their independence and a life that feels winning. 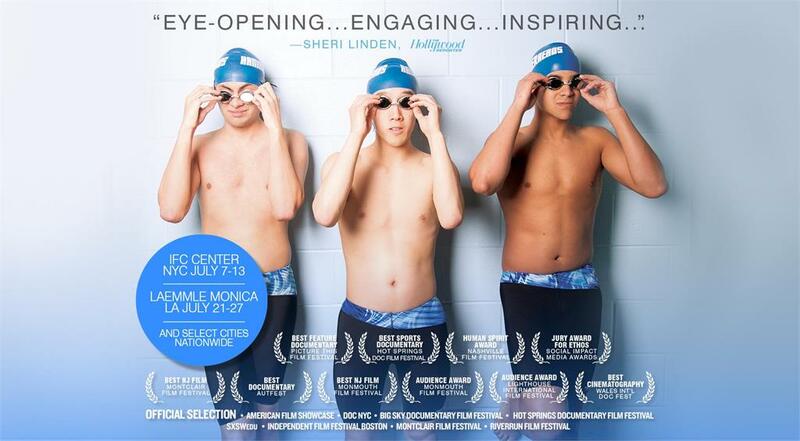 SWIM TEAM opened in theaters in Los Angeles on July 21st.